A wonderful miniature pack from folks at Sharish containing their Original Sharish gin alongisde two miniature Sharish Blue Magic gins. These gins will impress your friends with its great taste and its colours. All presented in a beautiful little wooden case making this the perfect gift for any occasion for any Gin lover! 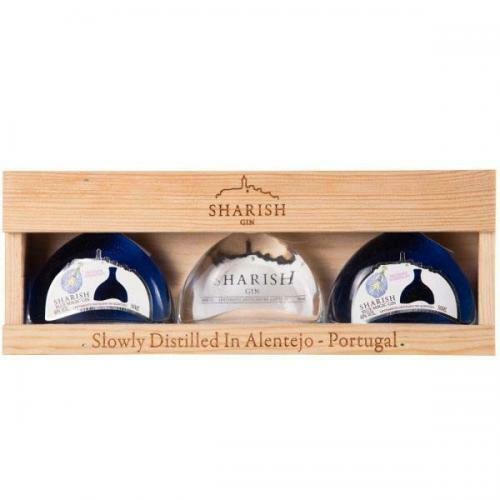 Sharish Gin is light and fruity, you can really pick up on the apples, but also with slight spice throughout, including cinnamon and cloves. on the palate, dry juniper catches up with zesty citrus, earthy coriander, and even more spices: cinnamon, cloves, and nutmeg.